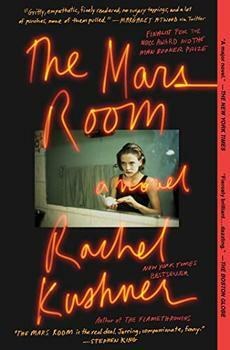 Lucia's father is dead; her mother is in a mental institute; she's living in a garage-turned-bedroom with her aunt. And now she's been kicked out of school - again. Making her way through the world with only a book, a zippo lighter, a pocket full of stolen licorice, a biting wit, and striking intelligence she tries to hide, she spends her days riding the bus to visit her mother and following the only rule that makes any sense to her: Don't do things you aren't proud of. But when she discovers that her new school has a secret Arson Club, she's willing to do anything to be a part of it, and her life is suddenly lit up. And as her fascination with the Arson Club grows, her story becomes one of misguided friendship and, ultimately, destruction. Some people hate cats. I don't, I mean, I don't personally hate cats, but I understand how a person could. I think everyone needs to have a cause, so for some people it is hating cats, and that's fine. Each person needs to have his or her thing that they must do. Furthermore, they shouldn't tell anyone else about it. They should keep it completely secret, as much as possible. At my last school no one believed me about my dad's lighter. I always keep it with me. It's the only thing I have from him. And every time someone touches it there is less of him on it. His corpse is actually on itI mean, not his death corpse, but his regular one, the body that falls off us all the time. It's what I have left of him, and I treasure it. So, I said, many times I said it, don't touch this lighter or I will kill you. I think because I am a girl people thought I didn't mean it. In essence, How To Set A Fire is a character study. The journal format allows for little development of the supporting cast. Lucia is not without friends, but they are barely sketched in. The plot is minimal so the extent to which you like this book will be determined by how willingly you buy into the cult of Lucia. The fact that this book isn't sadder is a credit to Jesse Ball's skill and light touch, the narrative never descends into hopelessness, even when it feels like it should. (Reviewed by Lisa Butts). Jesse Ball began his writing career as a poet, which explains a lot. His novels Silence Once Begun and A Cure for Suicide are both spare and elliptical, frog-hopping from scene to scene, making stories that aren’t plot-driven into page-turners. How to Set a Fire and Why seems to be no exception; it’s told by a teenage protagonist who can’t manage to stay in school in spite of her knack for seeing straight through to the truth that underlies things. She’s a lovable misfit worth hanging out with. A brilliant portrayal of a girl who's quite aware of what she's going through. Starred Review. A startling, unsettling, and significantly memorable novel. Starred and Boxed Review. The beautifully blunt narration of a gifted delinquent propels this excellent sixth novel…A song of teenage heartbreak sung with a movingly particular sadness, a mature meditation on how actually saying something, not just speaking, is what most makes a voice human. All that's written, all Lucia's actions and decisions, seem not just believable but somehow right…There's beauty in the simplicity, in the story that's told, in the plight of one girl to find what's true. How to Set a Fire and Why is a rare and startling work. Days after I read it, I find that I can't stop thinking about it, and what I've realized is that this is a book I will not forget. This is a harrowing, subtle, and absolutely electrifying novel." I was captivated from the first line ... Lucia belongs with all the great child truth tellers: David Copperfield, Huck Finn, Holden Caulfield. She has a rapier wit, an infallible nose for hypocrisy and injustice, and is always in trouble. She is subversive and funny and has a capacity for love that outstrips her circumstances ... I loved her and I loved the book, every page of it. From twice National Book Awardnominated Rachel Kushner comes a spectacularly compelling, heart-stopping novel about a life gone off the rails in contemporary America. 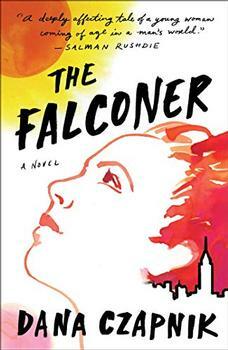 Told in vibrant, quicksilver prose, The Falconer is a coming-of-age story, providing a snapshot of the city and America through the eyes of the children of the baby boomers grappling with privilege and the fading of radical hopes.